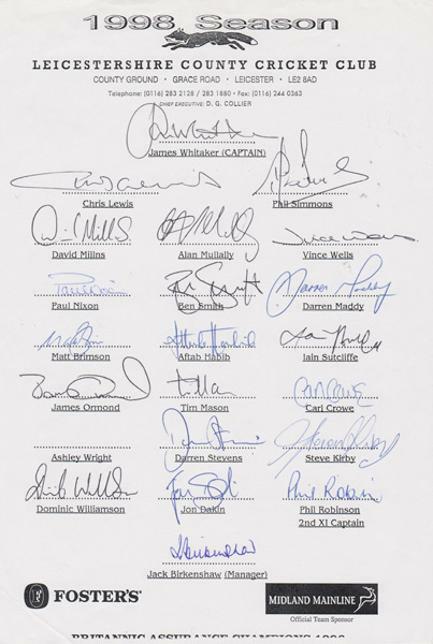 Squad autographs on team letterhead paper. 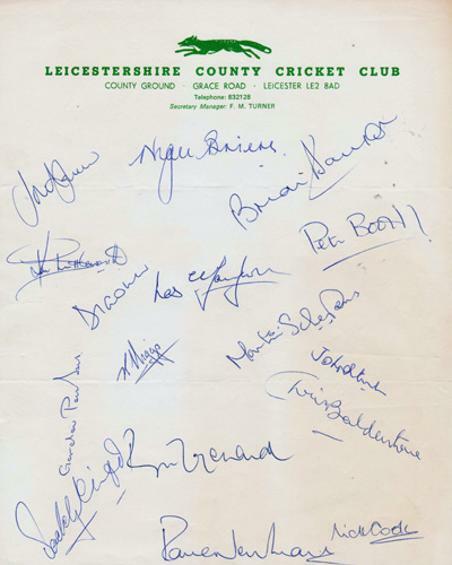 16 player signatures include: David Gower, Roger Tolchard, Paddy Clift, Nigel Briers, Brian Davison, Chris Balderstone, Gordon Parsons, Ken Higgs, Nick Cook, Peter Booth, Martin Schepens, Ken Shuttleworth, John Steele, Les Taylor + 3 others (c 1979). 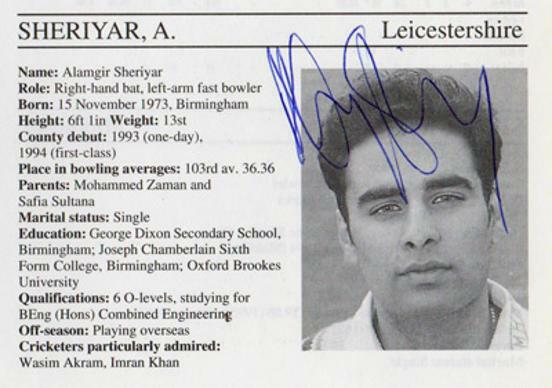 1998 season saw the Foxes win the County Championship. James Whitaker (Captain), Chris Lewis, Phil Simmons, David Millns, Alan Mullally, Vince Wells, Paul Nixon, Ben Smith, Darren Maddy, Matt Brimson, Aftab Habib, Iain Sutcliffe, James Ormond, Tim Mason, Carl Crowe, Darren Stevens, Steve Kirby, Dominic Williamson, Jon Dakin, Phil Robinson & Jack Birkenshaw (manager). 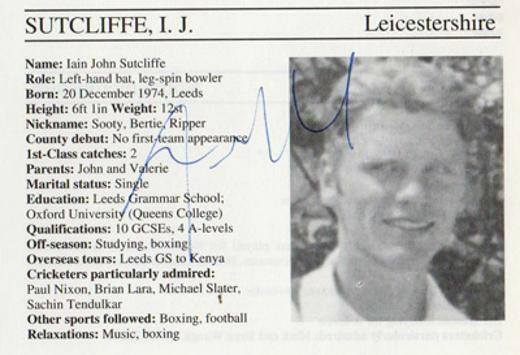 Signed soccer magazine feature page on the two sport star. 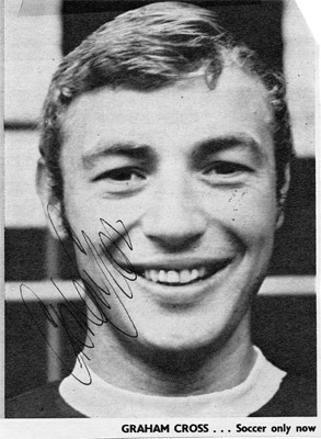 Signed B&W soccer magazine pic. 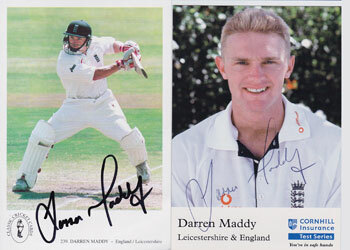 2 x signed England Test match player cards. 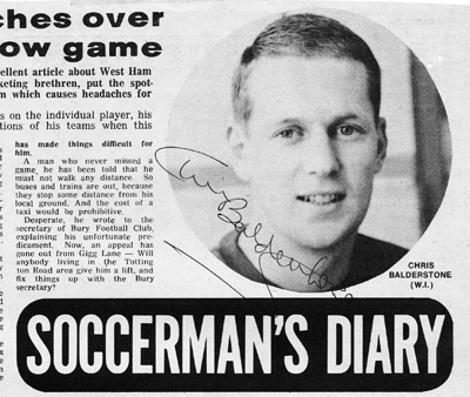 Signed newspaper picture showing Paul doing his stretching exercises at Canterbury cricket ground.